The Associate of Science in Business Administration program is designed to offer students broad exposure to the responsibilities and requirements of managing a business. In this program, you will gain an understanding of management concepts that can open up opportunities for promotion into a management career. The real-world skills you learn will apply to management within various departments in a wide range of industries. As a part of your coursework, you will examine current management practices, take part in business simulations, compose business correspondence, develop a marketing plan, and analyze and develop financial statements, journals, and ledgers as part of the accounting cycle. In an era of technology and globalization, people who understand business fundamentals are excellent job candidates. Whether this is your first experience with higher educational or you’ve already begun your career and want to improve your qualifications, a strong foundation of business knowledge makes you an appealing candidate in a variety of fields. What can I do with an Associate of Science in Business Administration? To be successful in the Associate of Science in Business Administration program, students should be professional, organized, and detail-oriented, with excellent communication and interpersonal skills. South College helps our business administration students thrive by providing hands-on guidance throughout the degree program. Dedicated, accessible faculty members, small class sizes, available tutors, and the Math Lab and Writing Lab are all there to make sure students get the attention and support they need. In February 2019, the School of Business & Technology has been awarded the status of Candidate for Accreditation by the International Accreditation Council for Business Education (IACBE).  In granting candidacy status, the IACBE has determined that the South College business programs are eligible for accreditation (http://iacbe.org/memberpdf/SouthCollege.pdf). Amounts for tuition, fees, books, and supplies are subject to change. Important information about the educational debt, earnings, and completion rates of students who attended this program can be found here. South College follows the required methodology provided by the Tennessee Higher Education Commission for the reporting of employment information for graduates. This information is compiled on an annual basis and submitted to the Commission by October 15 each year for graduates during the most recently completed reporting year (July 1-June 30). For more detailed information related to the calculation of graduate employment rates, please click here. *The career options listed above are a small sample of potential job titles, and are not meant to be comprehensive. Students may or may not find employment in these positions. Job growth statistics are taken from the Bureau of Labor Statistics 2014–2024 projections. Note that the Bureau does not publish estimates for all job titles, so in some cases these numbers are an approximation based on similar job titles. I like South College because of the other students and the teachers that go out of their way to make sure you are good. The administration seems to really care. That’s what I like about South College – we are family. One of the major reasons I chose South College was for the smaller class sizes. It allows more one-on-one time between students and professors, which enhances the learning experience for me. I went to college originally straight out of high school with the intent of majoring in musical performance with a concentration in theoretical studies. I was not prepared to for college at that point, so I decided to gain some experience and maturity by joining the work force full-time. After working for 10 years, I felt it was time to try school again.